I'm having trouble getting my bread to rise on the boat. Been making bread for years with no problems but can't do it here in the US. I'm using King Arthur strong flour and Fleischmann's Active Dry Yeast from a bottle. The loaves are not rising more than a little. I've proved the dough in the oven (off), the microwave and in a covered bowl. Can't get a lift. How old is the yeast? Check the yeast expiration date. Try adding a tablespoon of sugar when activating the yeast. I've had the same problems w/ the jar yeast. Make sure the water temp is 110-120 deg. to hot will kill yeast, to cool will not activte. ctivaate for about 10-15 minutes before mixing dough. That's all I have, I make bread every other day. Michael.. If you keep your yeast inthe refrigerator, as I do, let it warm to room temperature before using it. Boat fridges have cold spots, some of which seem to freeze my yeast but it is fine after it warms up. I had similar disgusting results with Fleischman yeast... bad stuff and outragious expensive too. Now I use Fermipan which is 100% but we've used other brands with good success too. Buy these large vacuum packs and store big part in freezer while keeping a small amount in a spice canister in the fridge. It will keep good for ever that way. Where in the USA are you? I have had trouble sometimes when there is high humidity, overcome this by using less water in the recipe. I have not had much joy with the King Arthur flour either, I now by the Gold Seal breadmaking variety in most supermarkets or White Lily brand to be found in the Southern States. Mix all together, knead for 10 mins. Set to prove. Knock back and pit in tin. Prove until about 1'' over tin. Bake in hot oven for around 30 minutes. 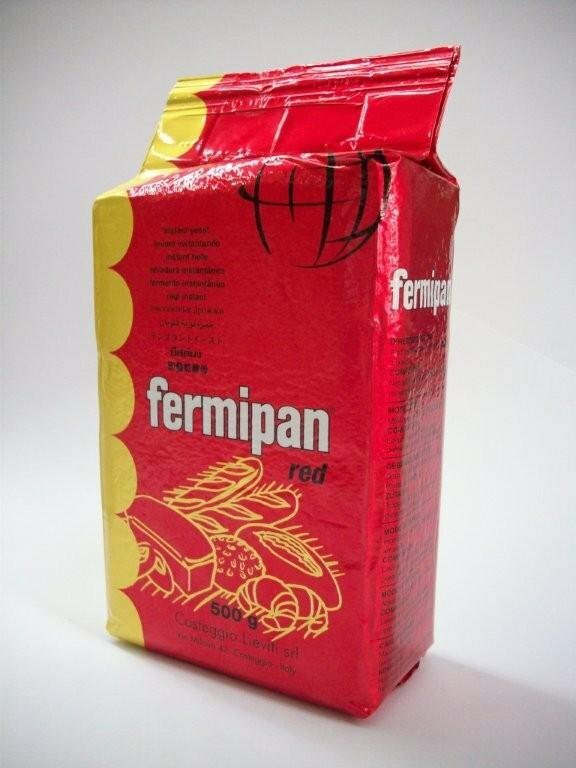 I agree with Jedi that the Fermipan yeast is much better than Fleischman's but haven't been able to purchase any here. I'm using the same stuff as you, King Bread flour and Fleischmann's yeast and getting the most wonderful baguettes and country breads. Imho, King makes the best bread flour in North America. Yeast should be good too (if not expired like posters above mentioned). You do dissolve the yeast in water before mixing it in, don't you? Is your water warm enough? Not too hot? I like mine being comfortably warm to the touch. Do you let the yeast-water mix sit for some time, 5 min or so, before mixing it into flour? You don't over/under-mix the dough, do you? Is the air temperature, whereever you are, warm enough to make the dough rise nicely? Can you describe your process a bit better, assuming that yeast and flour are not past their expiry dates and that it's warm enough for the dough to rise? Old yeast or not warm enough where you want it to rise. Yeast expiry is June 2013. I am currently in Fort Lauderdale (waiting for a window to head to the Bahamas). Weather has been warm and not too humid. I mix with warm water and leave to stand for 5 + so it's bubbling. I've resisted sugar (like using petrol to start a barbie but I might just whack some in to really stir it up. Some great ideas from all above - many thanks for your time. Search google for "Jedi bread recipe" for more info. Edit: the instant yeast you just throw it in, no dissolving or measuring water temp etc. "Proofing" yeast: dissolve a little sugar in warm water (110 deg) and add yeast, cover to keep out light, and check in a few minutes. If bubbles haven't formed within 10 minutes the yeast is dead. Otherwise add to dough recipe. I used to buy 1 kg vacuum bag of yeast, kept a working quantity in an old yeast bottle (dark glass, moisture seal) in the fridge, the bag in the freezer. The yeast lasts for years. If light, damp, warmth get to it, aging is accelerated. I doubt that the brand makes a big difference; I have used Fleischmann's, Red Star, and other brands to equal effect. The important thing is care after opening. I used to get yeast at Costco - it was less than $5 for a 2lb bag, probably more now. If you don't like to use a pinch of sugar, use a bit of flour - both are food for the yeast. It may help in your quest. I am unfamiliar with the flour you are using. Fortunately here in Portland we have Bob's Red Mill; their flour has a high gluten content which rises like crazy. (They source wheat through growing contracts with farmers in order to get particularly high gluten content.) When baking whole wheat bread it can cause the loaves to rise more than I want as the gluten holds in the gas in spite of the coarseness. I have seen products from them in the USVI and Trinidad so you might be able to find it. Highly recommended.